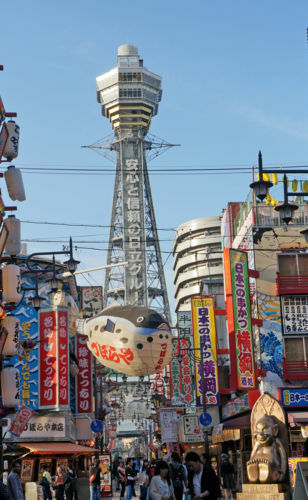 A bustling commercial street that is representative of the Minami area of Osaka, always busy with playhouses and food shops from the Edo Period to today. 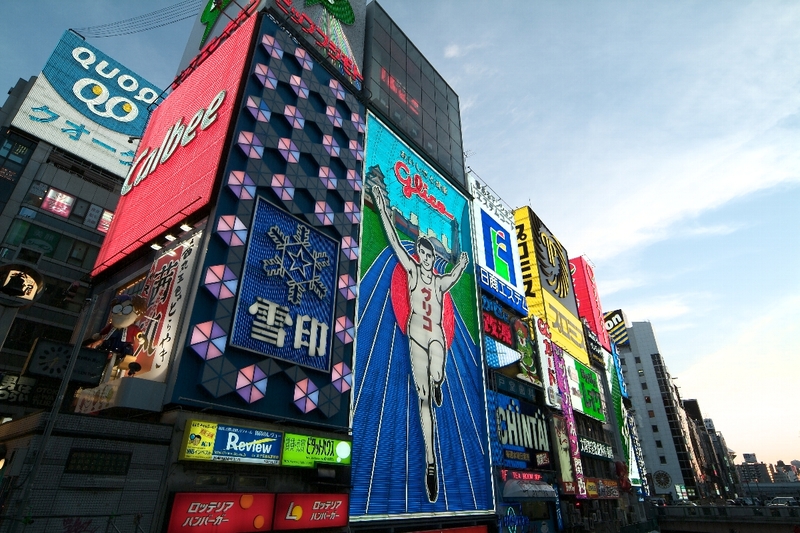 Dotombori is a symbol of the Minami Area and a mecca for the kuidaore food culture of Osaka. 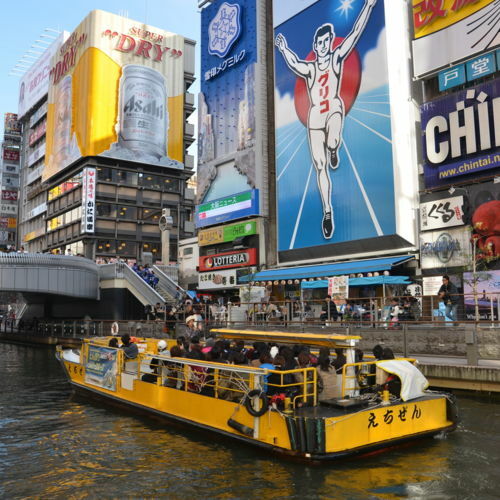 Dozens of restaurants line the Dotomborigawa River, and large famous billboards draw diners'attention. 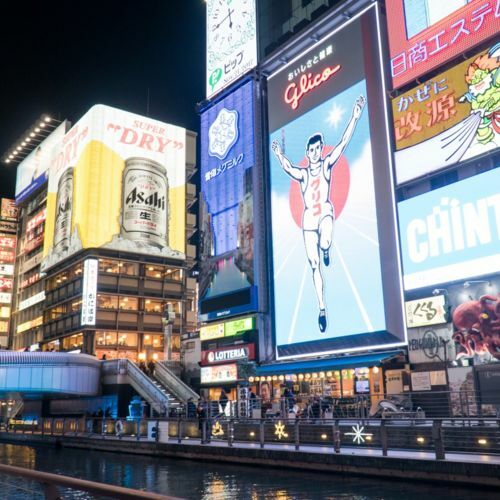 On the north side of the river, where geisha used to entertain their customers, are now small bars and restaurants squeezed together in rows. 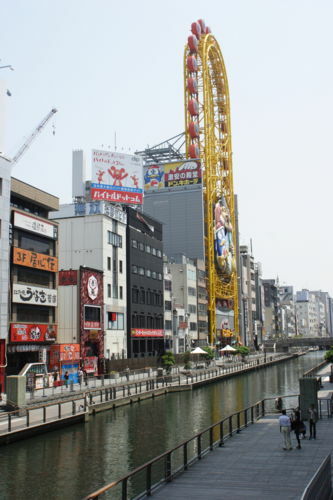 The southern side of the river is the center of the Dotombori area, which was once known as the theater district. 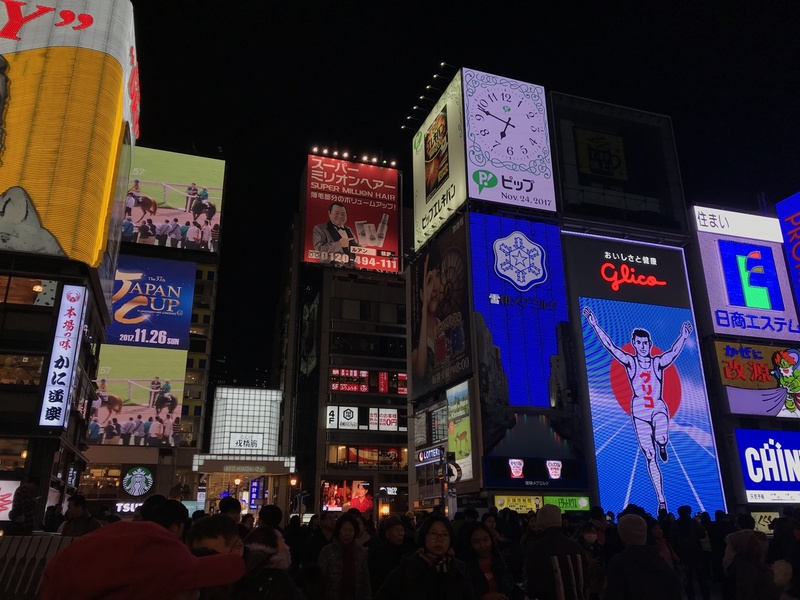 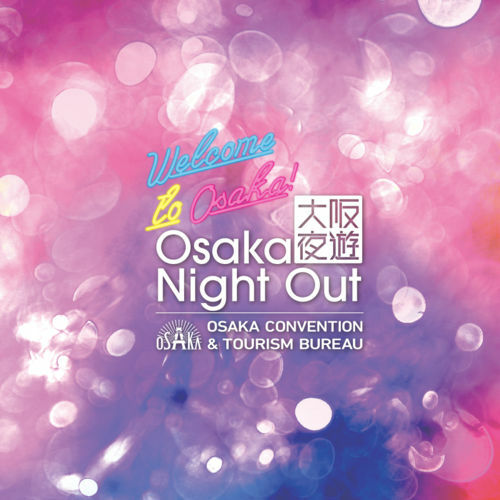 Nowadays, colorful neon signs and flash signboards enliven the area, showing that the district still represents the passion of Osakans. 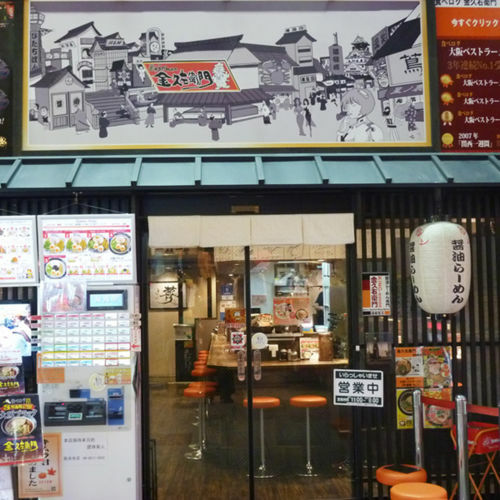 In one of Dotombori's back streets, Hozenji-Yokocho, small restaurants are located along the stone-paved alley, retaining the flavor and atmosphere of old Osaka. 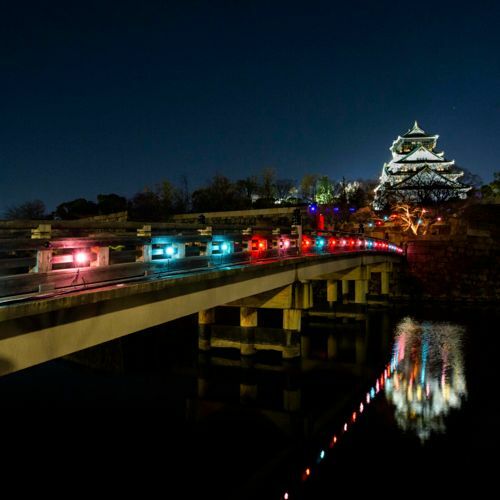 It's like a step back in time. 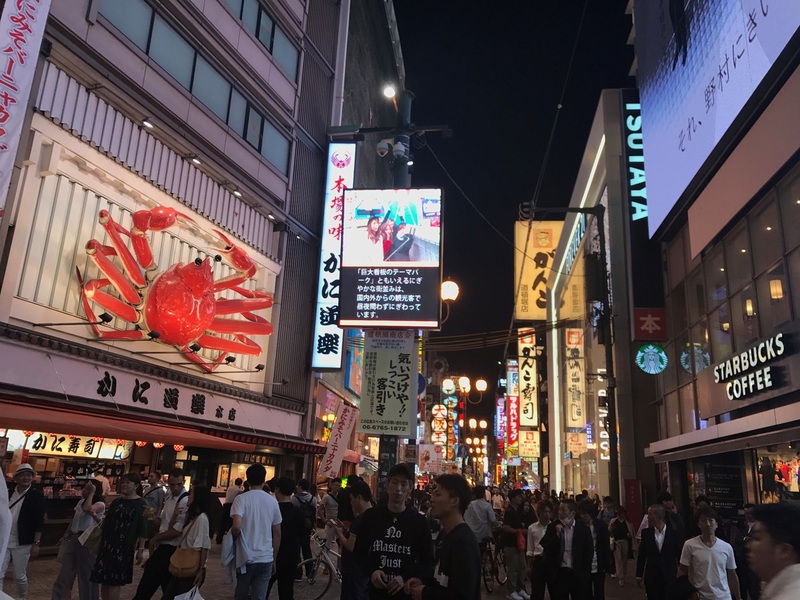 Dotombori has so many restaurants and bars packed along its narrow streets and alleys that it's impossible to count them. 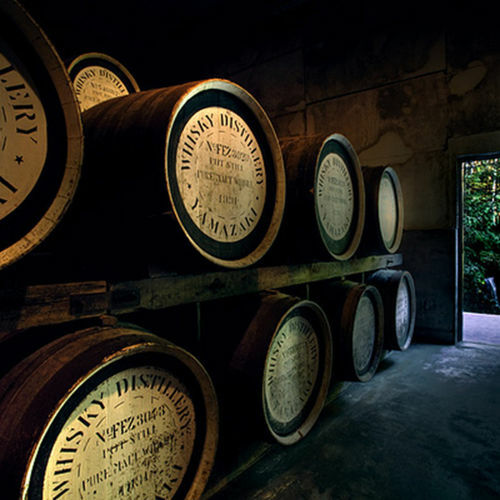 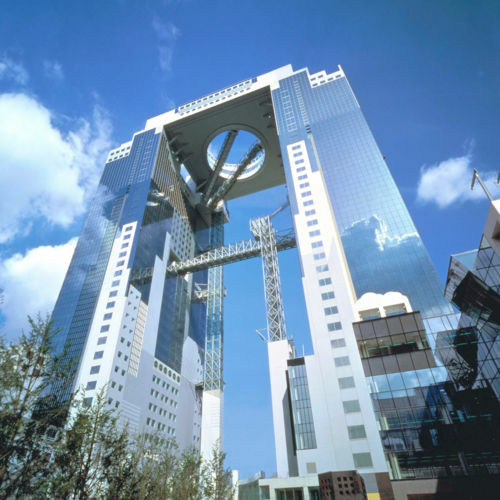 Their colorful signs and decorated entrances create a symphony of light and design that dazzle the eye. 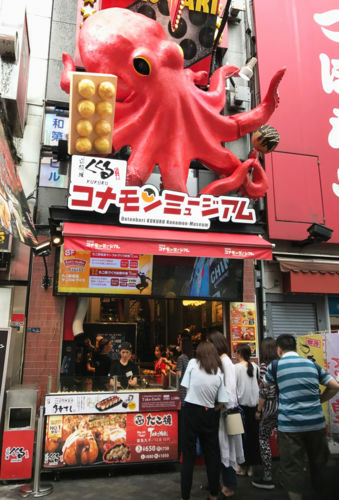 Here is where you can experience the true meaning of kuidaore, and stuff yourself with Osaka's great tasting reasonably priced food to your ultimate culinary satisfaction. 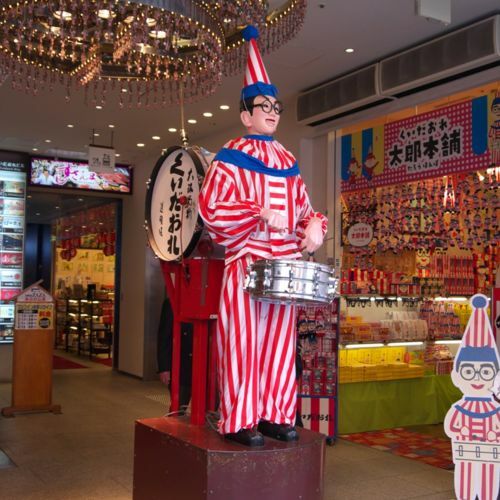 Konamon Museum is a place where you can eat, learn about and make Takoyaki: Osaka's soul food. 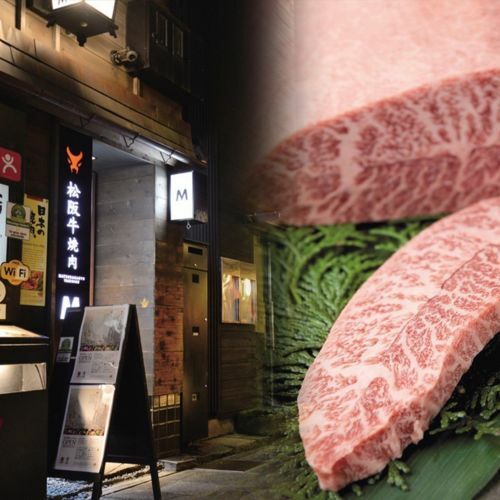 Enjoy farm-fresh Matsusaka beef, ranked the highest among Wagyu cattle, at Namba. 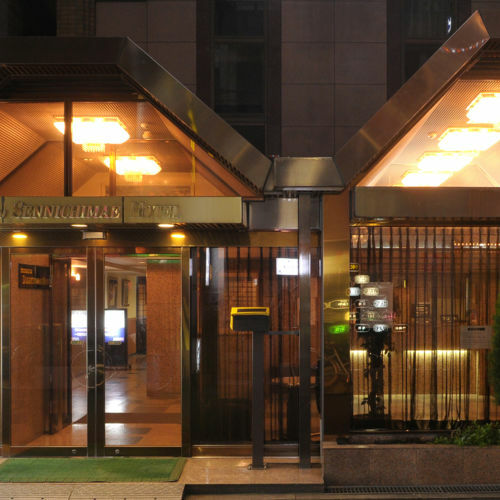 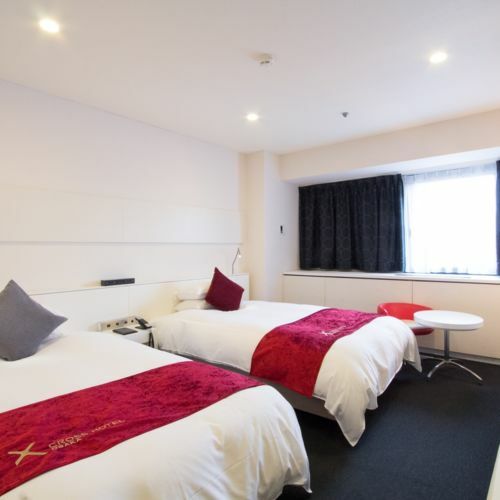 An urban hotel situated within walking distance to Midosuji Avenue, Shinsaibashi, Nipponbashi and Namba.